With the launch of Google’s Android Operating System. Cell phone companies like Samsung, Motorola and HTC have launched whole lot of devices running on Android Mobile Operating System. If you are planning to buy Android Based Cell phone in Indian Market at a price range of Rs 14,000 – 15,000 then have a look at Samsung’s Galaxy Ace S5830. Samsung’s Galaxy Ace S5830 runs on Android Froyo 2.2 with 800MHz processor and 278MB RAM. It has got a HVGA 320×480 pixel resolution with TFT capacitive touchscreen. 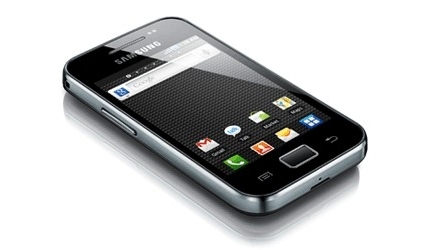 Samsung’s Galaxy Ace S5830 is available in Indian Market at a price range of Rs.14,200 – Rs.14,800.